Vacuum Pump | Mitee-Bite Products LLC. low-profile edge clamps geared towards improving productivity, capacity and providing solutions for difficult workholding applications. We now offer an Electric Vacuum Pump/Air Compressor option for use with all of our vacuum systems or your current system. This unit is compact, quiet and guaranteed to run continuously for 1 year! The Pump produces a high evacuation rate of 5 cfm which is recommended for larger parts or difficult gasket sealing situations as the pump can compensate for gasket leakage much better. 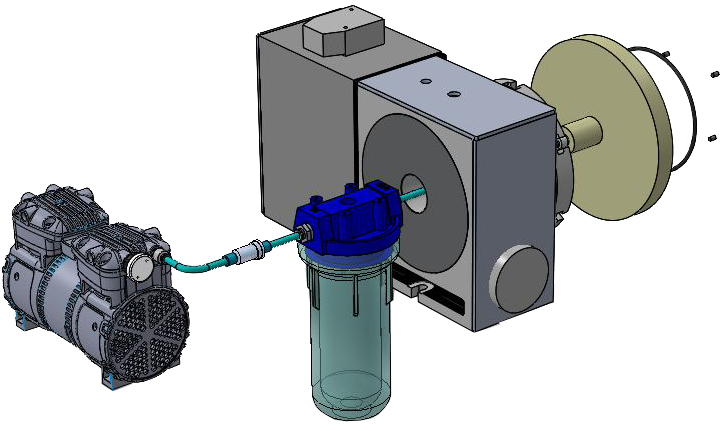 At dead head the vacuum pump develops approximately 12-13 psi of vacuum holding force. 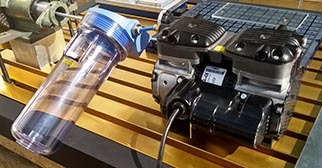 Mitee-Bite recommends using our Coolant Trap between fixture and pumps, so that any liquid that bypasses the gasket can be captured so not to affect vacuum performance. The Pump is available operating on 115 volt or 230 volt and includes our coolant trap, air filter, non-skid feet & 10’ power cord with on/off switch. The 230 volt cord will have flying leads* due to the wide variety of plugs. *No plug on end of cord. Have a technical question about our products? Ask our engineers! 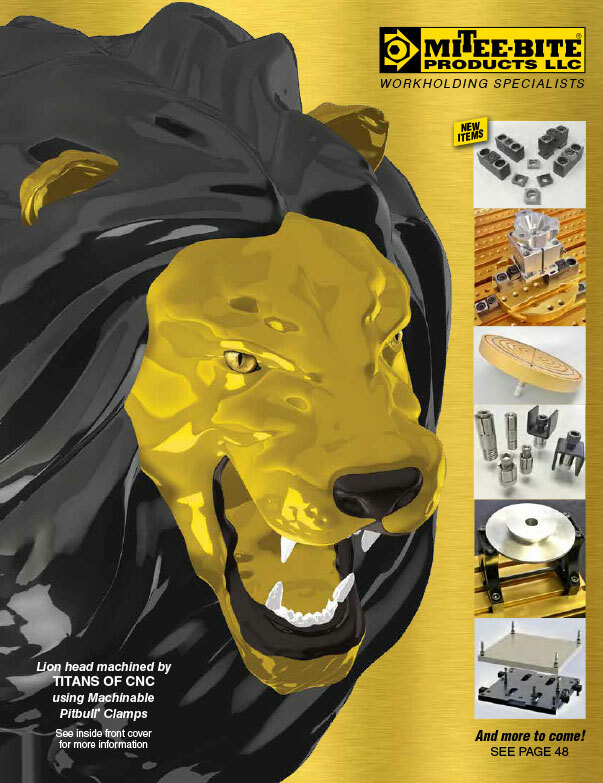 ‘TITANS of CNC Academy’ Kits now available! Want to be notified when our Product of the Month is published? Enter your email address and name below to be the first to know! If you are already a subscriber please close this window.